Gamma knife radiosurgery as a noninvasive procedure is increasingly used as a treatment option in patients with intractable seizures. 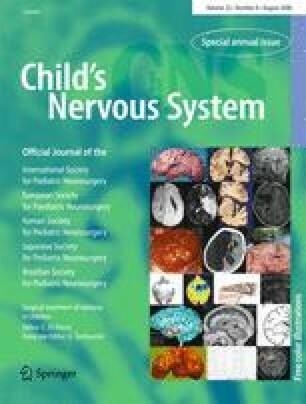 We investigated efficacy and safety of gamma knife radiosurgery (GKRS) for callosotomy in children. Between 2000 and 2004 three children between 4 and 14 years (mean 8 years) underwent radiosurgical callosotomy. One child presented with Lennox–Gastaut syndrome, two with hemispheric cortical dysplasia. These two children underwent functional hemispherotomy before GKRS. GKRS was performed with a marginal dose of 55–60 Gy on the 50% isodose. Mean follow-up was 35 months. Radiosurgical callosotomy was ineffective in one child with the Lennox–Gastaut syndrome, whereas in the remaining two children, a 100% seizure reduction of generalized tonic-clonic seizures, 20–70% reduction of partial seizures, and a progress in mental and physical development was achieved. No postradiosurgical side effects were observed in all children. Radiosurgical callosotomy might be offered after hemispherotomy to complete callosal resection. However, larger number of patients and longer follow-ups are needed to draw final conclusions.